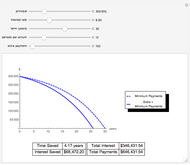 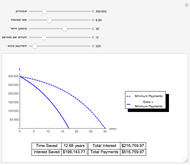 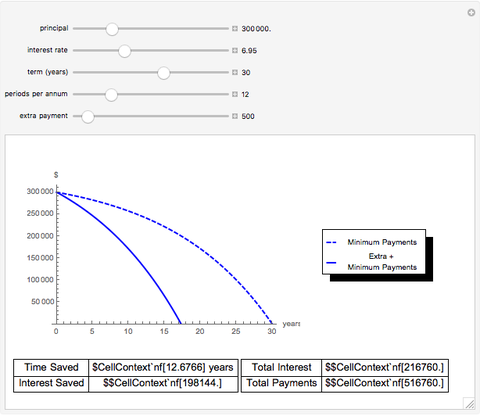 This Demonstration shows the importance of making extra payments on a typical amortizing loan, such as a principal and interest mortgage. Even small amounts over and above the prescribed minimum can substantially reduce the term of the loan and the overall amount of interest paid. 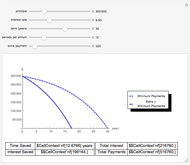 Ben Carbery "Effect of Extra Payments on an Amortizing Loan"